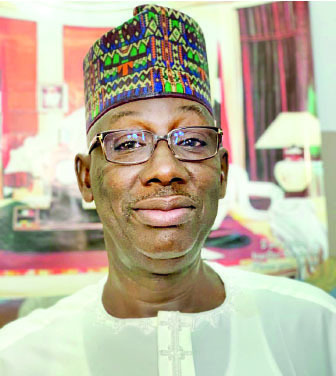 Director-General of Buhari Movement.com, Mohammed Lawal has said that the All Progressives Congress (APC) candidate in next Saturday’s presidential election, President Muhammadu Buhari is going to score higher votes than he did in 2015, to defeat the then incumbent, President Goodluck Jonathan. Speaking with VINCENT KALU, the former Deputy Director of the Buhari Presidential Campaign Council, emphasised that the ethnic groups that adopted Atiku Abubakar, the presidential candidate of the Peoples Democratic Party (PDP) have no electoral value. Seven days to the elections, what are your expectations? I want to congratulate in advance Nigerians on re-electing President Muhammad Buhari next Saturday. In the same vein, I also congratulate the president on his efforts that made his victory possible. In this victory, everybody is a winner, no victor, no vanquished. He is not going to victimise anybody who abused him either in the social media or the mainstream media. The whole country is his constituency and everywhere is his home and he is going to show love to all. People should dissuade the rumour that is gaining ground that he is going to victimize and chase people around. He is not going to hound anybody. He will extend more hands of love, even more to the opposition. He will like a strong opposition that can put him on his toes in order to work and deliver good governance. He will be magnanimous in victory; he will carry everybody along, including former President Olusegun Obasanjo, the leaderships of NEF, Afenifere, Ohanaeze, PANDEFF, Middle Belt Forum, and the retired military generals. He wants everybody to come under the same roof to take the country to the next level. There is no doubt that Buhari will win this election with landslide. We are mobilising to ensure that people turn out enmasse, especially my state, Zamfara, where there are security challenges. This time around, the number of votes the president will have will be almost doubled to what he scored in 2015. Through my organisation, Buhari Movement.com, we have been doing realistic poll, which is not biased or sentimental; we have discovered that more voters are following Buhari than in 2015. The Independent National Electoral Commission (INEC) said that the number of registered voters increased by about 14 per cent. Depending on the massive voters mobilisation campaign we are embarking, I’m assuring you that the figures will be about 15 million votes to Atiku’s 7 million, and if we increase the tempo of our mobilisation, it could be 20 million for Buhari and less than 3 million for Atiku, with a margin of five per cent. Based on the percentage of voters in the six geo-political zones, Buhari will score 90 per cent votes in the Northwest; in the Northeast, he will get 75 per cent; in the North central, give APC about 55 per cent; in the Southwest, it is about 80 per cent, in the Southeast, give Buhari about 30 per cent and in the South-south, Buhari will score about 25 per cent. These translate to 15 million votes for Buhari, and about 7 million for Atiku. That is the way it is going to be, and in order to buttress what I have said, there are two states in the country, Kano and Lagos, whose total voters represent about 20 per cent of total votes in this country, and these states are traditionally, strongly APC states. Kano is Buhari, and Lagos is Tinubu. Look at what is happening; if you go to Katsina, Sokoto, Jigawa, Niger, Zamfara, etc, these are traditionally states for Buhari. That is why I have congratulated the president in advance because he is already coasting home to victory. Williams and Associates, the United States-based polling firm predicted in 2015 that Buhari would win Jonathan with 54 per cent to 46 per cent, and it came to pass. It has also predicted that Atiku will win with 45 per cent to Buhari’s 33 per cent. How can you reconcile your position with this? The indices are not the same; the complexity of 2015 and that of 2019 is entirely different, so we should not be deceived by that foreign poll. In 2015, what led to that victory was realistic. Now, what are the indices that the foreign firm used to arrive at their result? Did they forget what Buhari has done in this country, decimating Boko Haram, fighting corruption head on, and carrying out massive infrastructural development, and he has aligned with the common people in this country. He always aligns with the common people; if he sees a common man being oppressed, he would rise in his defence; that is the Buhari’s covenant with the common people of Nigeria, and he has endeared himself to their hearts and that is why they are following him. What we do is to make sure that our votes count and the common people are allowed to vote. Let us be realistic, the indices in 2015 are quite different from that of 2019, how can the foreign firm see what we here are not seeing. I never believed until now that there are interest groups in America, Europe that are working to the destabilisation of Nigeria. The case of Justice Walter Onnogen is a pointer. If a government functionary no matter how low tells lies, not to talk of Chief Justice of Nigeria that million of dollars were found in his bank account; if it were in America and European countries, he would have been jailed straightaway but Americans and other European countries are defending the CJN and saying that President Buhari acted in error, and they think we are foolish. Must we continue to keep quiet when things that are happening can jeopardise the integrity of the Judiciary? If the same firm that predicated Atiku’s victory has relationship with the firm that collected $2 million to facilitate the former vice president’s entry into the US, I’m not surprised. They can do the same to this firm to say that Atiku was going to win. These organisations you have mentioned, are they the ones going to vote? It is the common people who are going to vote. It is not Ohanaeze, NEF, Afenifere, Pandef, and Middle Belt personalities that are going to vote. It is not a question of making noise on the pages of newspapers, what is their electoral value? The leaderships of these organisations don’t have electoral value; individually, none of them has electoral value. The electoral value of former governors of Kaduna State, Balarabe Musa, and his integrity is far greater than the members of NEF, and he is supporting Buhari. The Obi of Onitsha, HRH, Achebe made one of the statements I ever heard about Buhari; his integrity is higher than that of Ohanaeze leadership, and he can mobilise the people more than Ohanaeze. Buhari came and changed the way things were done; he is not sharing money, and he showed the light for people to follow and that is why they are fighting him. It’s never done not only in Nigeria, but also in other climes, that a president will tell the people to vote for a candidate of their choice. All these organisations rely on people to vote and these people are already with Buhari. Even the governors of South East are not with the Ohanaeze that has adopted Atiku because they know what Buhari has done for the zone in four years is more than what the PDP did in 16 years. So, some of the governors are with us. How many states does Ohanaeze have; how many states does NEF have; how many states does Afenifere have; how many states does PANDEF have, likewise Middle Belt Forum? Out of the 36 states, APC has 24, while PDP has 11, so we can differentiate political facts from fictions. It is Buhari that the common man is going to vote for; nobody has redefined the political landscape like Buhari in the past four years. Obasanjo and his associates have the mindset that if they don’t have their way, Nigeria will be in flames, but we are not going to allow that to happen. Look at all what he said about Atiku in his book, and he has recanted; a man who is supposed to be a statesman, people are making caricature of him; even low level people calling him 90- year old baboon, monkey. What a disgrace; that is the level he has reduced himself, a person who is supposed to be an elder statesman. To him, if he doesn’t get what he wants, Nigeria can go to hell. Should that be the position of a man of his status? You were a deputy director in the Buhari Presidential Campaign Council, in 2015, but you are not in the Buhari Presidential Council in 2019, why? In 2015, there was a problem somewhere and I was called to solve it, as a deputy director in charge of coordinating and implementation. There were so many intrigues that the campaign council could not contain, and my friend, Shehu and I, had to manage them. Right now, I’m the DG of Buhari Movement.com; our office is in Abuja. We are giving huge supports to the presidential council and other Buhari support groups in terms of campaigns, materials, logistics, information, research, and intellectual analysis toward where and how to mobilise for votes. Most importantly, in my state, which has experienced some political turmoil, we are doing great mobilisation for the party, and it is yielding great dividend. I’m satisfied with this new role, where I’m contributing immensely to the success of the presidential council and they so much appreciate my efforts.